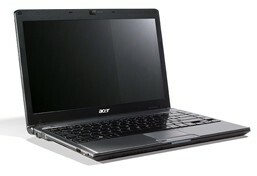 Acer is famous for producing cost effective and entry level laptops and netbooks with good configuration and relatively low prices . 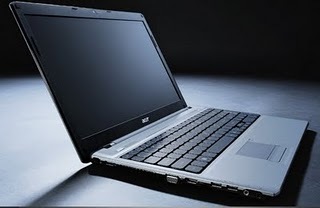 The recent trend in Intel atom powered Acer aspire one netbooks is an example for their marketing strategy . After one series now they have introduced a new laptop series called Timeline .Acer Timeline laptops will focus on the power management . Each Timeline laptop will be capable of holding the battery charge from 6-8 hours in single charge . All Acer Timeline series laptop models configurations are built on Intel Centrino mobile technology platform with Intel core 2 solo processor . Intel core 2 solo processor come with exceptional power saving features . And this is the reason for improved power handling of this notebook .Currently listed Acer Timeline series models include Timeline 3810T ,Timeline 4810T and Timeline 5810T . All machines in Acer Timeline series will have approximately 8 hour backup on full charge . Weighs only around 2 KG and thin (almost one inch) in size . Built on an aluminum chassis which would improve the durability and safety . Operating choices includes Windows Vista Home Basic ,Home premium and and Windows XP professional .upgradable to corresponding Windows 7 models. Intel Centrino mobile processor technology, featuring Intel Core2 Solo processor with 3 MB L2 cache . 2GB DDR3 RAM upgradable upto 4GB . Up to 5000GB SATA hard disc drive. Stereo speakers optimized to output Dolby sound technology. Non availability of a proper graphics card is the main problem in Acer laptops . Acer Timeline series also follows this path , but includes a reasonably good mobile Intel GS45 express chipset with integrated 3D graphics (ATI 4330 dedicated graphics in some countries) .This graphics platform uses Intel Dynamic Video Memory Technology to generate 1759 MB graphics memory ,using 64 MB of dedicated video memory and up to 1695 MB of shared system memory. The top model ,Acer Timeline 5810T comes with the best features from above configuration .